The Canary Wharf development was first started in 1988, and it has taken 30 years for it to come to fruition. In terms of the offices and businesses which have put down roots in the area, it is second only to the City of London. Developments are still ongoing, and it takes a property management company to help transfers to Canary Wharf. There are a large number of buildings under development in Canary Wharf, and a company planning to relocate here would need all the help they can get. London is one of the world’s most important financial centres. Large banks have their global headquarters in the city. Tech companies have branches in London. It also happens to be one of the most expensive cities in the world. Aside from that, the land is premium. To solve these problems, the government has been developing alternate areas to entice companies with incentives to move their offices. Canary Wharf has seen a building boom in recent years. The current developers are aggressive and have shown great results. The place has seen an increasing number of building starts, and now has more than 16 million square feet of space for offices and retail shops. During the day, it has more than 120,000 people working in the various buildings. 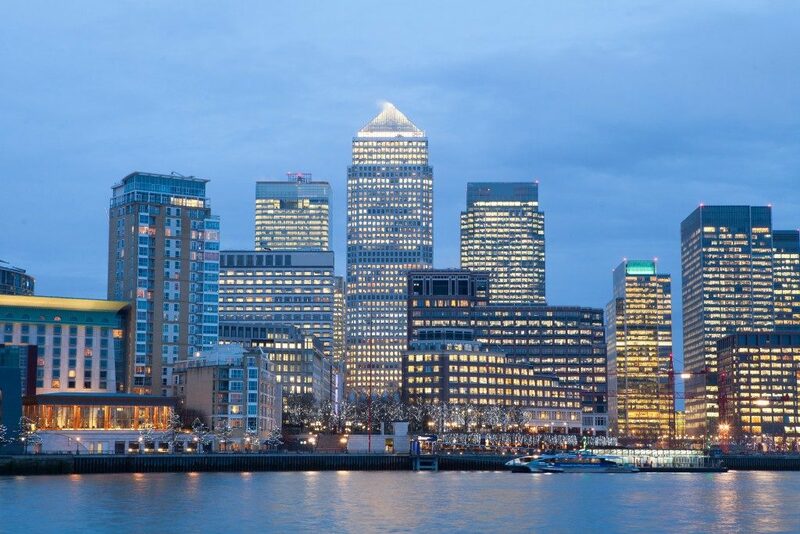 The Isle of Dogs, where Canary Wharf is located, is proving to be a viable business district and an alternative to the City of London for companies seeking office space. The buildings and offices there are new, and it has a newly opened transport hub, which is the single busiest tube station for single-line routes. The office buildings are also not as expensive as most other districts. Canary Wharf ranks fifteenth in a comparison of the cost of office space. A common complaint among business centres is the lack of shopping centres, entertainment, and restaurants. Canary Wharf developers have come up with a solution for this. It is developing Wood Wharf which includes more retail spaces and residences. London has more than 500 buildings more than 20 stories high that are either in the planning stage or under construction. Among those under construction are the Landmark Pinnacle and the Spire London, both in Canary Wharf. These will be residential buildings and will help alleviate the shortage of new homes. Also, in response to these needs, a third of Wood Wharf’s buildings will be commercial, while the majority will be residential. The continued growth and viability of Canary Wharf and the rest of the Isle of Dogs will depend on meeting residential needs. The office buildings are being built, but the majority of the workers are from outside of the district. More office buildings are under construction which would lead to more employees working in the district, most of which will be commuting to work. This trend has to stop, otherwise, the transportation to and from Canary Wharf will be overwhelmed. Property management is not just about the current inventory but also planning for the future growth of offices, commercial spaces, and residential spaces. There should be a balance between creating office space and in finding homes for those who work in those spaces. The residents also require amenities and access to entertainment and commercial spaces.